When the buyer is in a rush to find a horse, the first horse seems to be a perfect match. Perhaps, the horse just seems to be “right” or the price is right. This may be the right horse for you, and this is why you should take your time to confirm how right it is! This means going out and looking at a few more horses so that you have something to compare the first horse too. If a seller pressures you, avoid caving in just because there might be another buyer. If you are desperate not to lose the horse ask if you can make a deposit, but be aware that if you do not buy the horse, you will not get the deposit back. A surprising number of buyers go out looking for a horse without anyone to help. Unless you are very experienced, this is a mistake. Even experienced horse people often shop with experienced friends. The first time you see a horse, you can go on your own, but make sure to arrange to return with someone you know and trust. If possible have your coach come out and evaluate the horse with you. An experienced person can point out many things that you might not notice on your own. While your coach is a valuable resource when selecting a horse, be aware that not all coaches are honest about the process. Many coaches get paid extra fees such as finder fees when they find a buyer for a horse. They may also choose to charge you for the service of finding you a horse, thus taking fees from both ends. Some dishonest coaches will not only sell you a horse that they are getting fees for but will also tell you an elevated price and pocket the extra cash. If your coach suggests a horse, go ahead and try it out. It may well be the perfect horse for your needs. On the other hand, insist on meeting and talking to the owner and not just the sales representatives. If this is denied, be wary of extra fees and costs. While it is smart to have a budget when horse shopping, you need to be careful not to cut out perfectly good prospects purely by cost. Many sellers who have horses priced somewhat over your price range may be willing to negotiate. Think of it like buying a car – you can pay full price, but if you negotiate on extras and other things you can usually get the seller to drop the price somewhat. Another thing to be careful of is ruling out a horse because it is priced too low. There are many reasons horses are priced low. It could be because there is something wrong with them, but equally well it could be because the buyer is desperate to sell. Unless you have the experience to work with a young or green horse, it is a bad idea to buy one. While it can be cheaper to buy something untrained, you will need to invest a great deal of training into it before you can ride it. 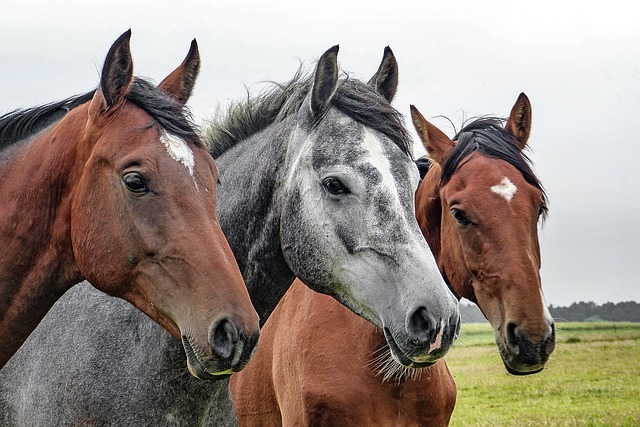 Auctions are a nice cheap place to buy a horse, but be aware that most horses at auction are there for a reason – often because of training problems or other issues. It is always better to buy your first horse privately and to make sure that it is well trained and handled before your purchase. There is no point buying and paying for a horse that you can’t use.